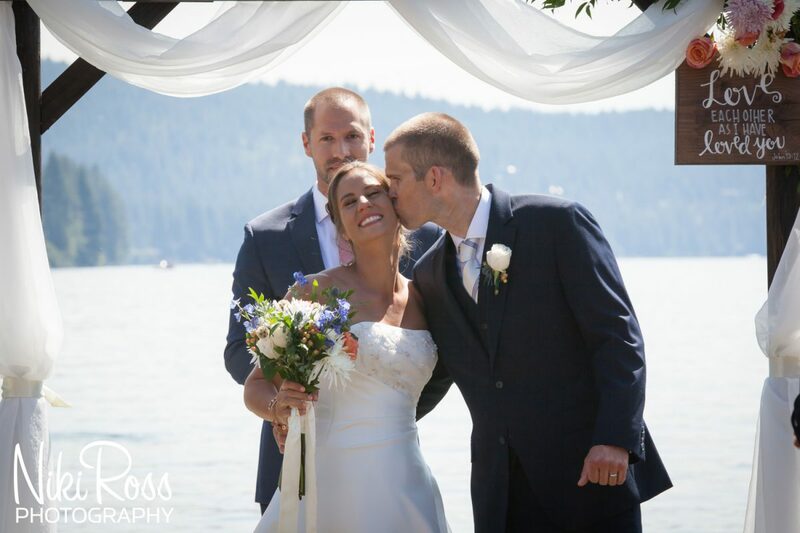 Melinda and Ben have to be some of the sweetest people I have ever met. 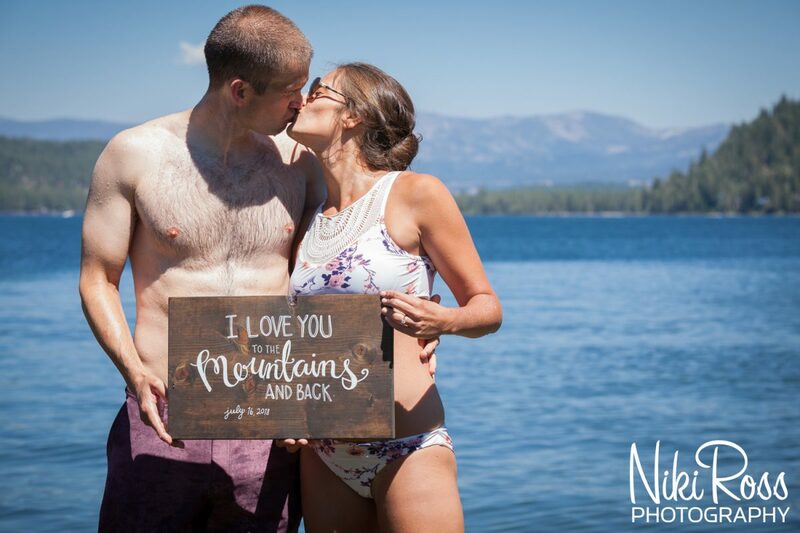 Since their epic engagement session, I have been beyond excited for their Donner Lake beach wedding. 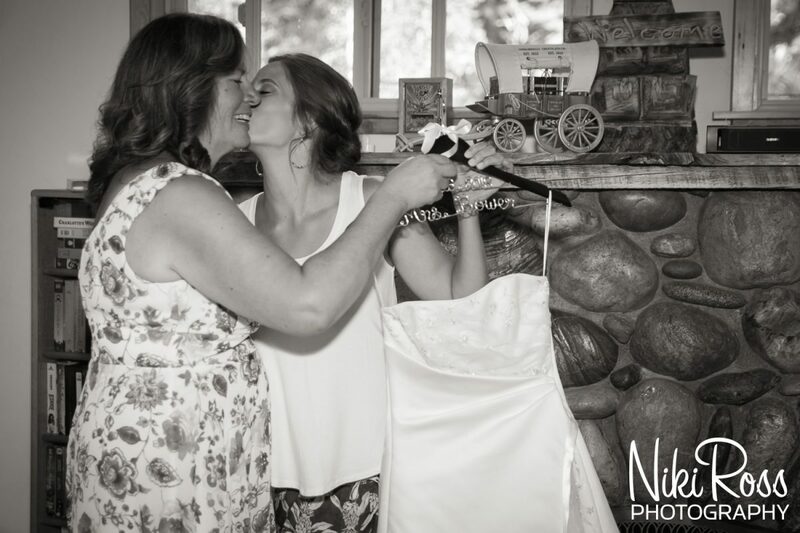 Their love for each other and everyone around them on their wedding day was simply so amazing to capture. 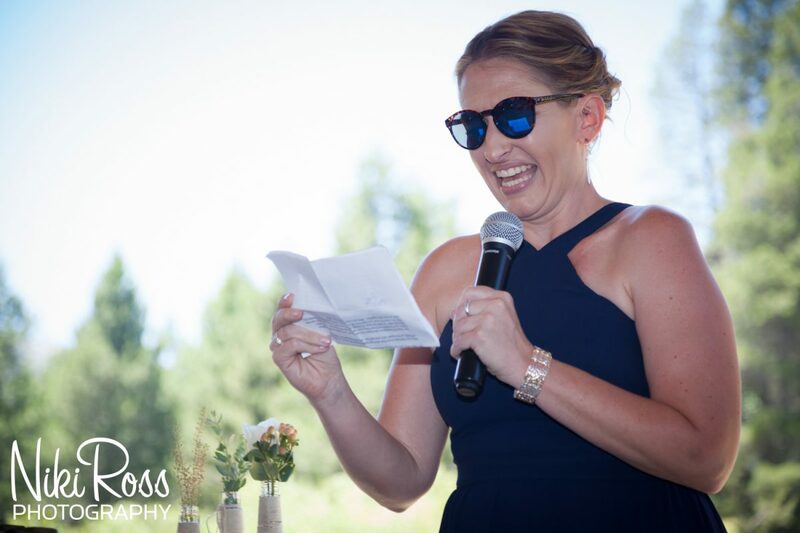 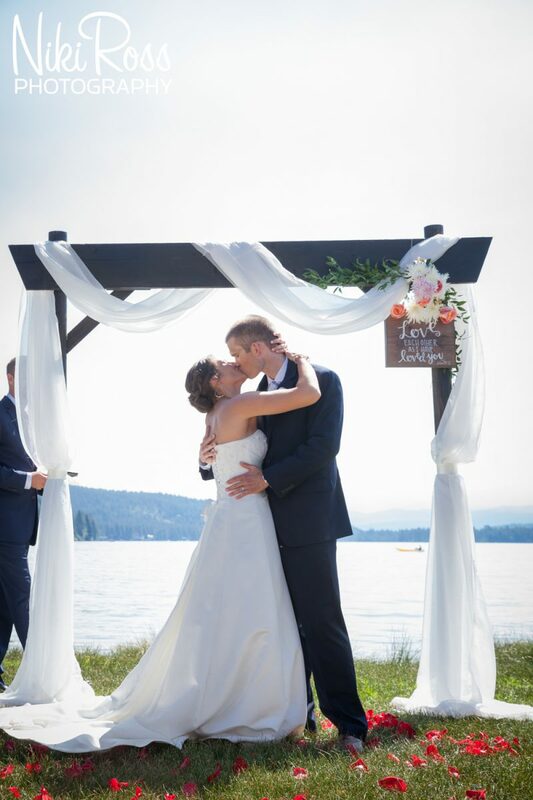 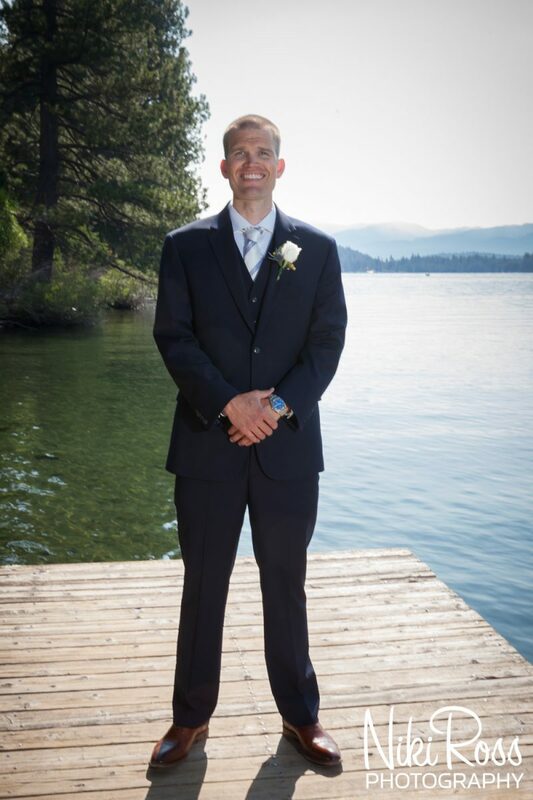 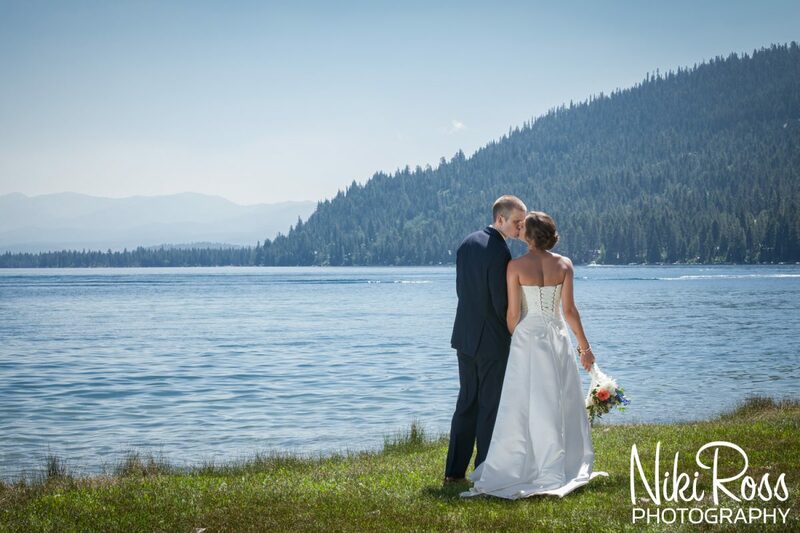 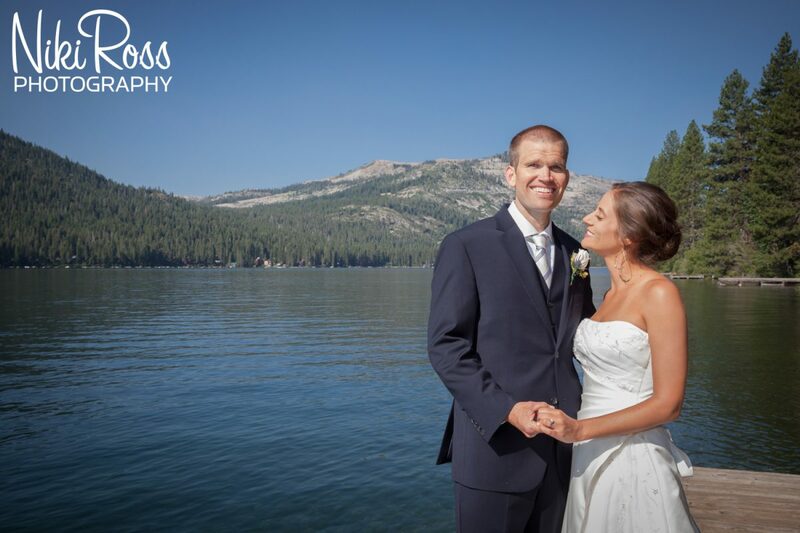 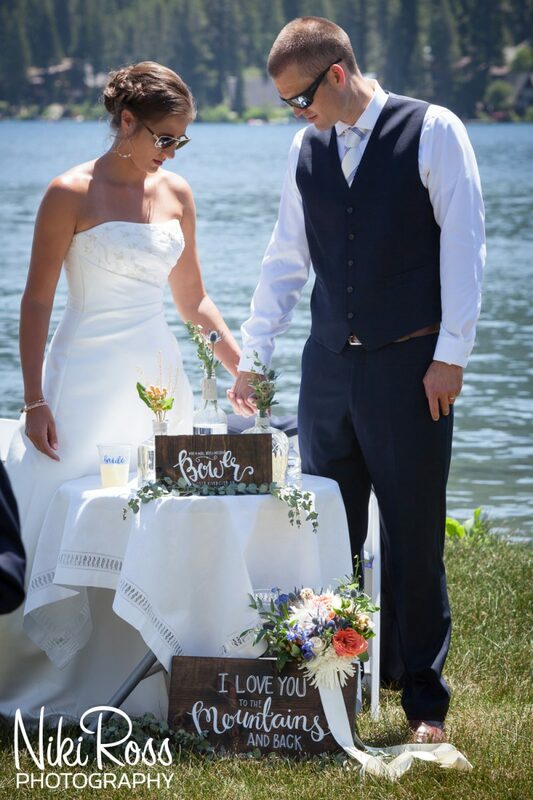 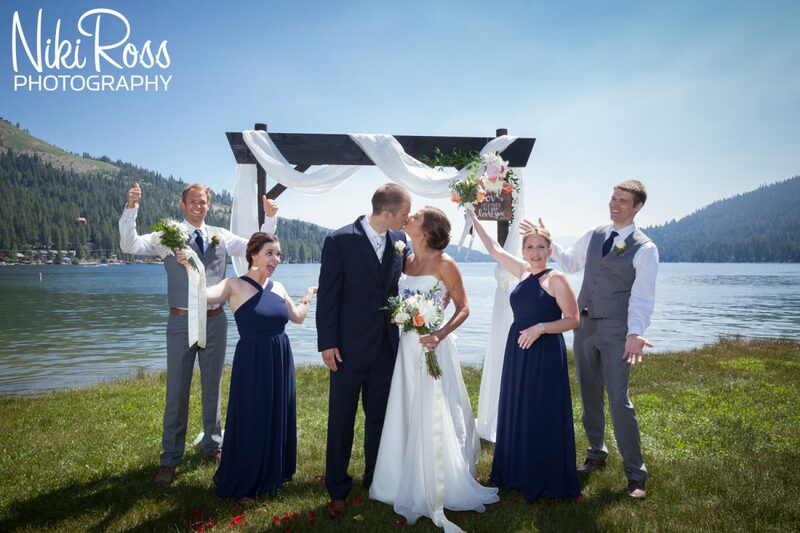 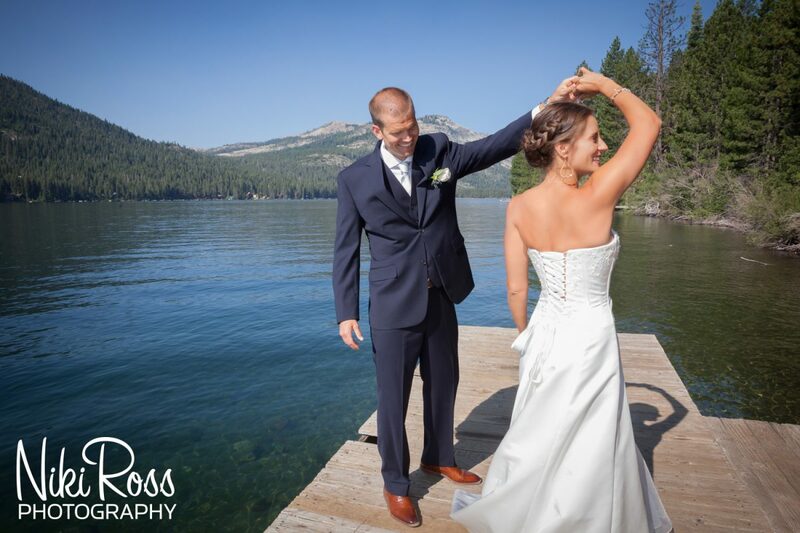 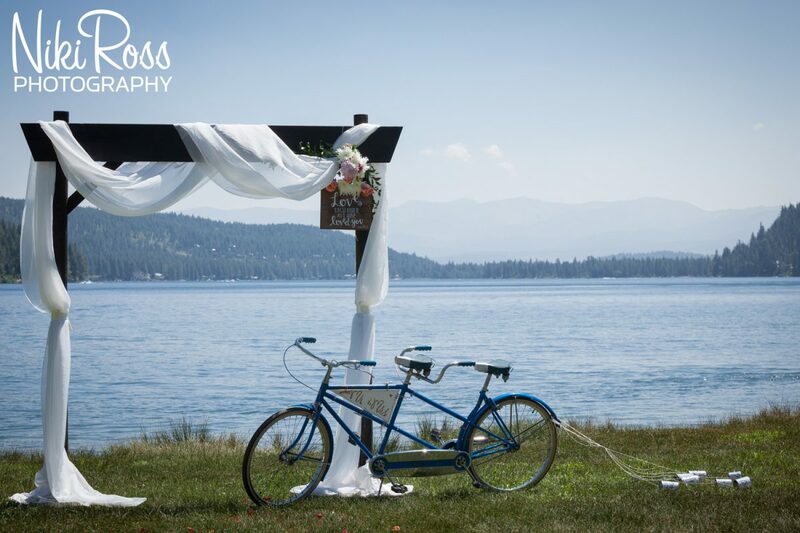 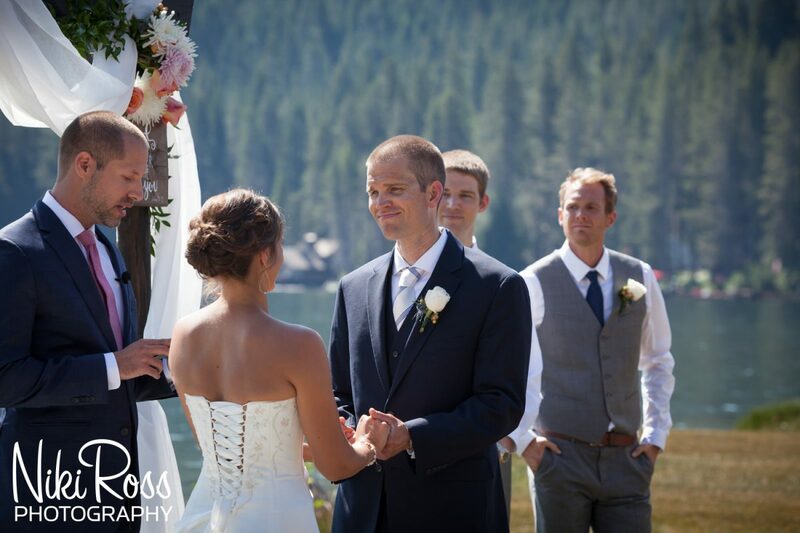 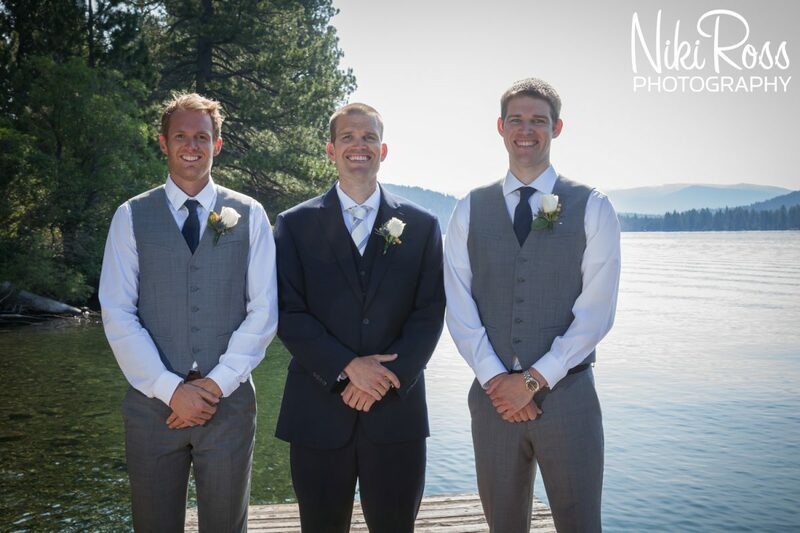 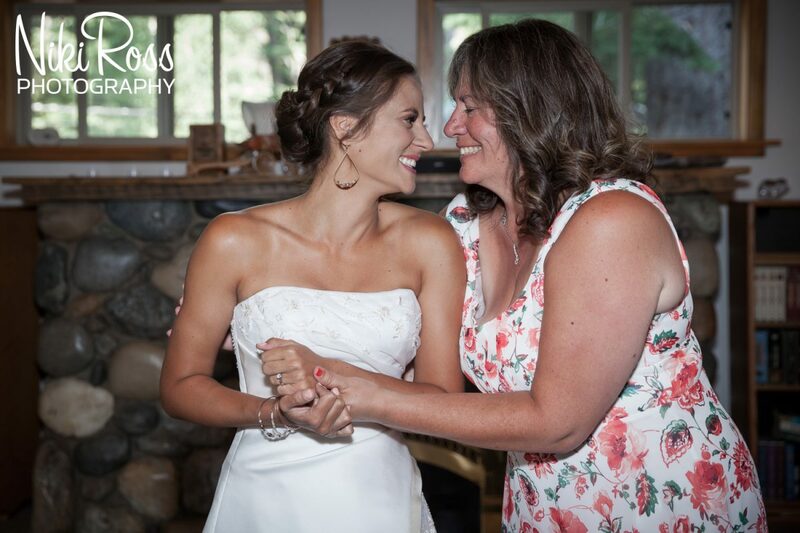 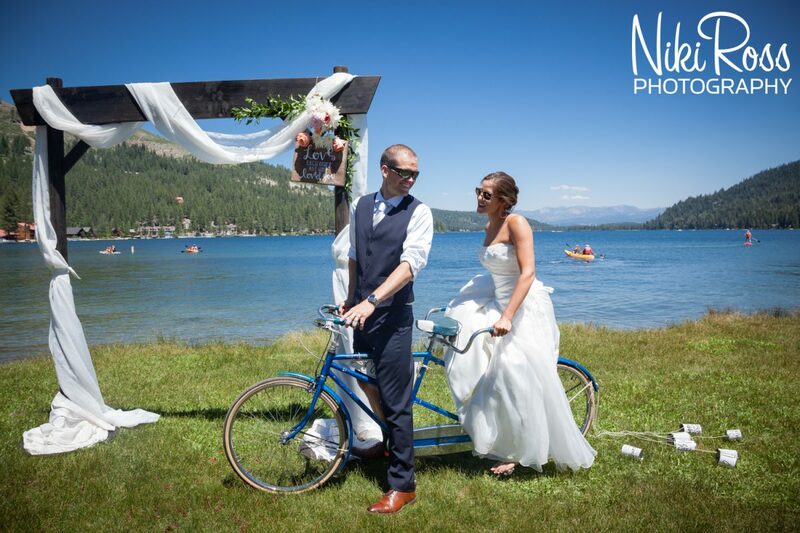 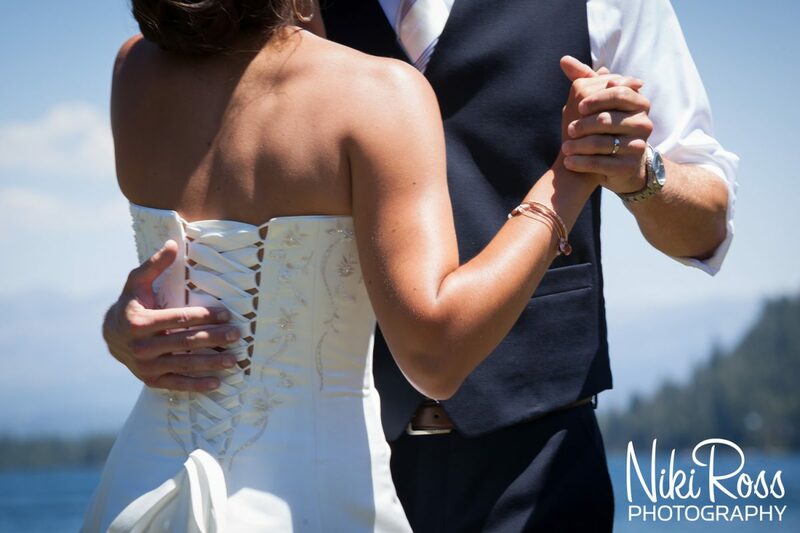 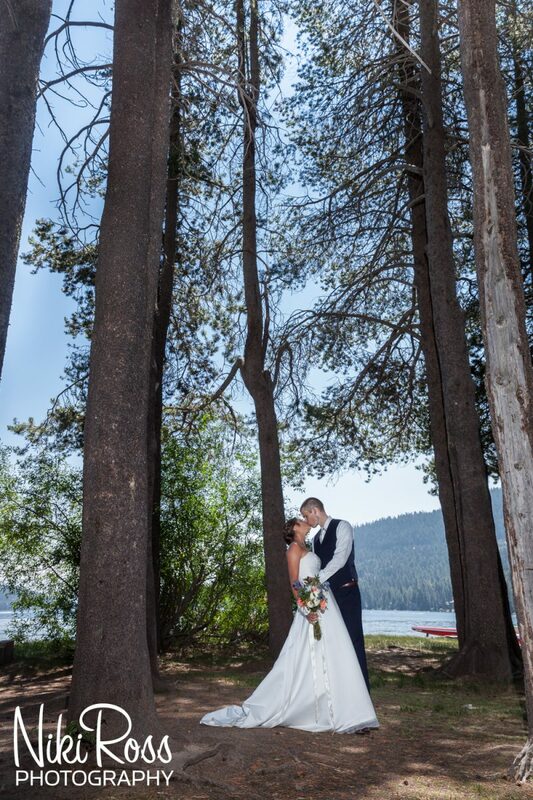 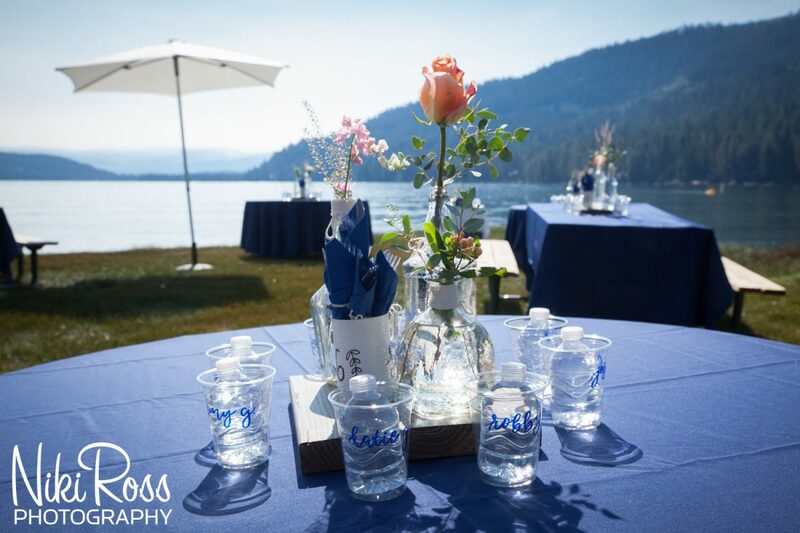 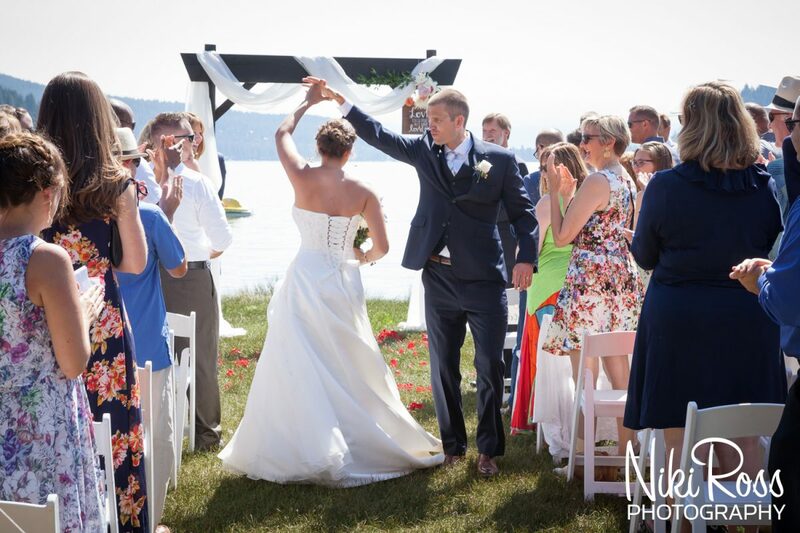 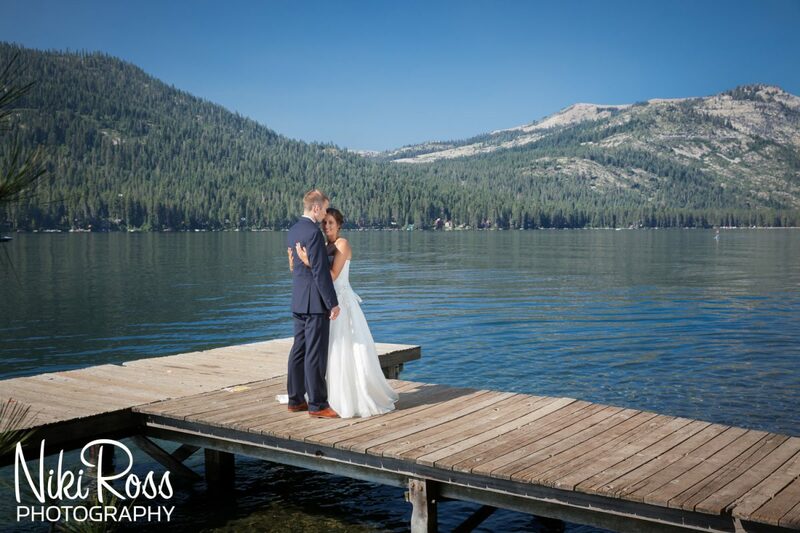 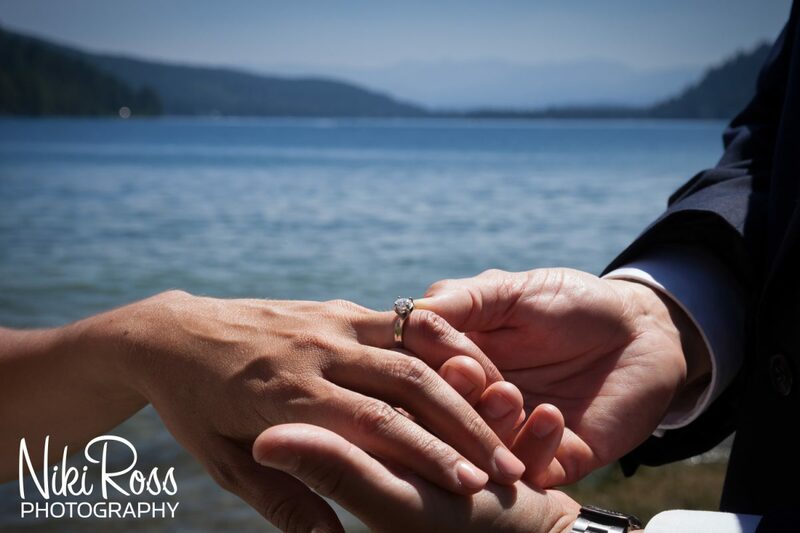 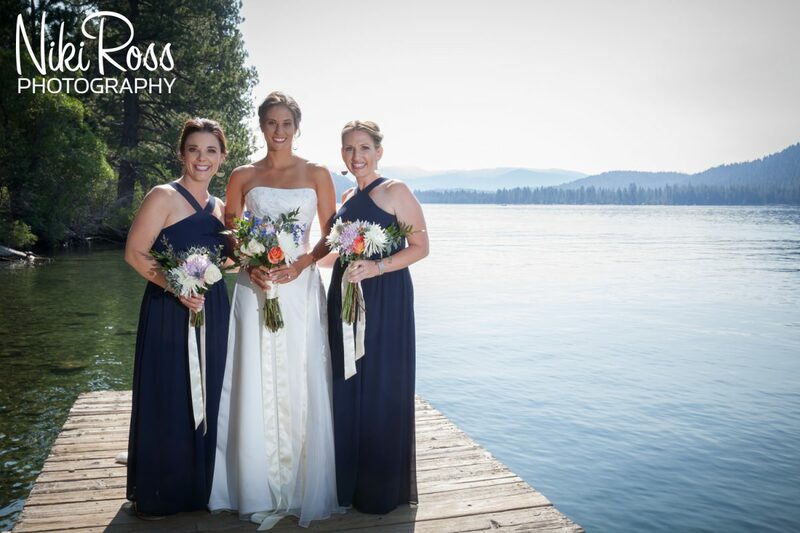 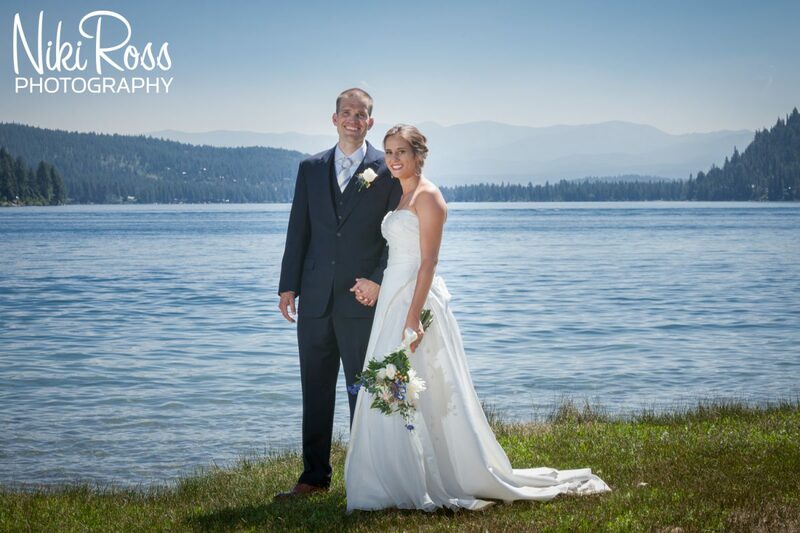 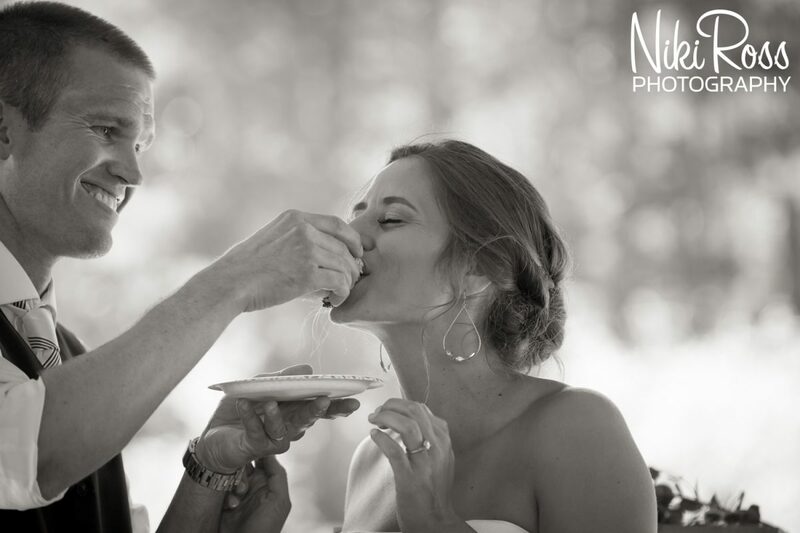 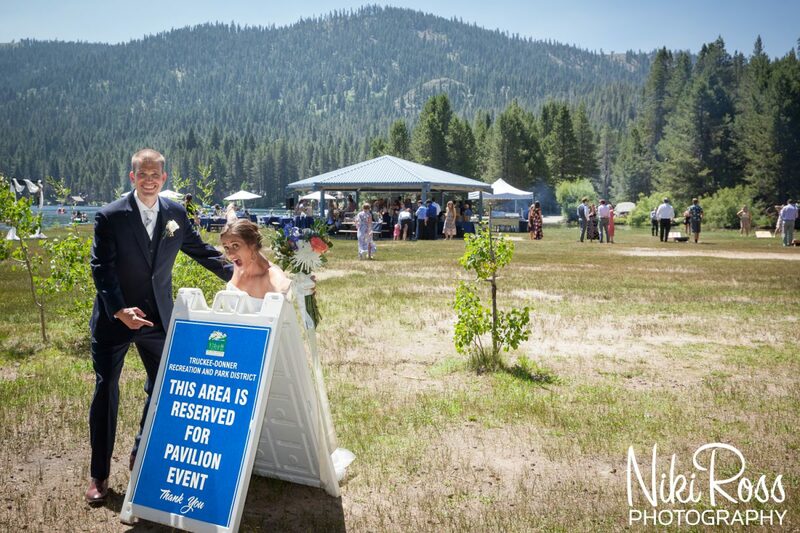 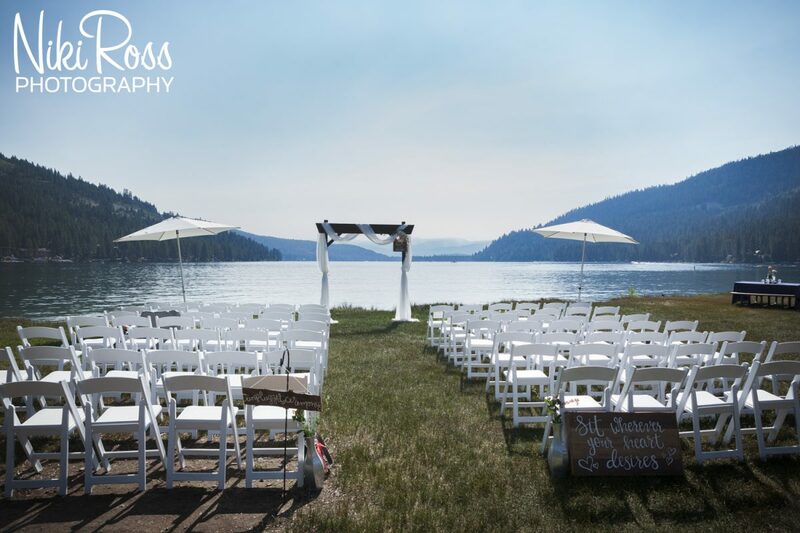 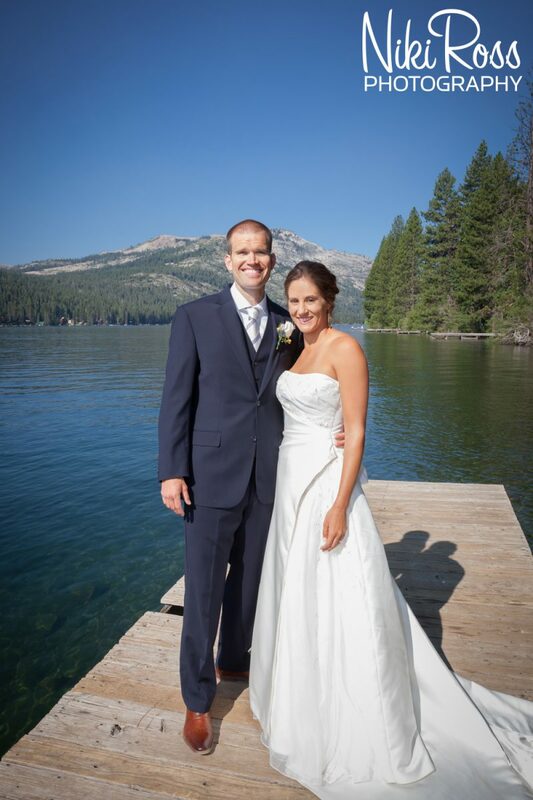 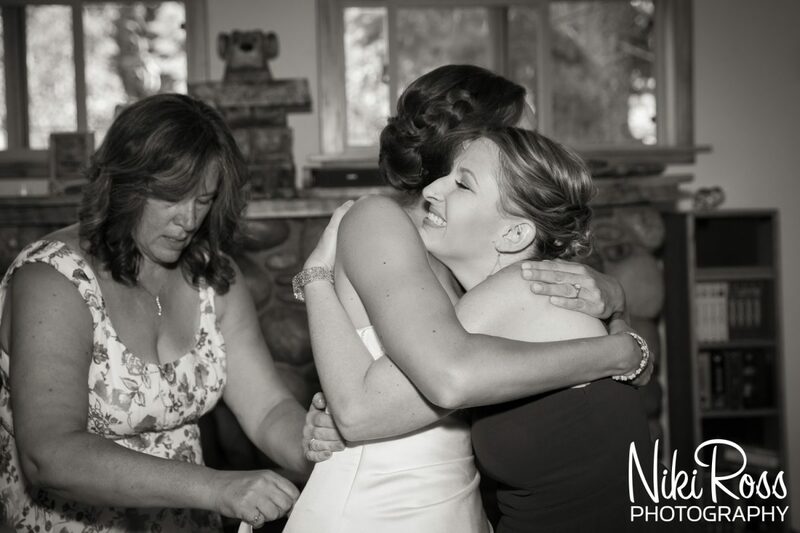 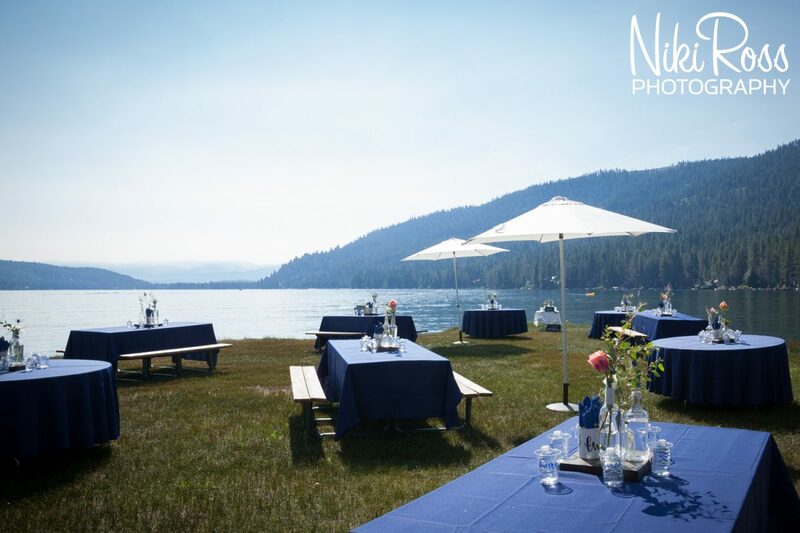 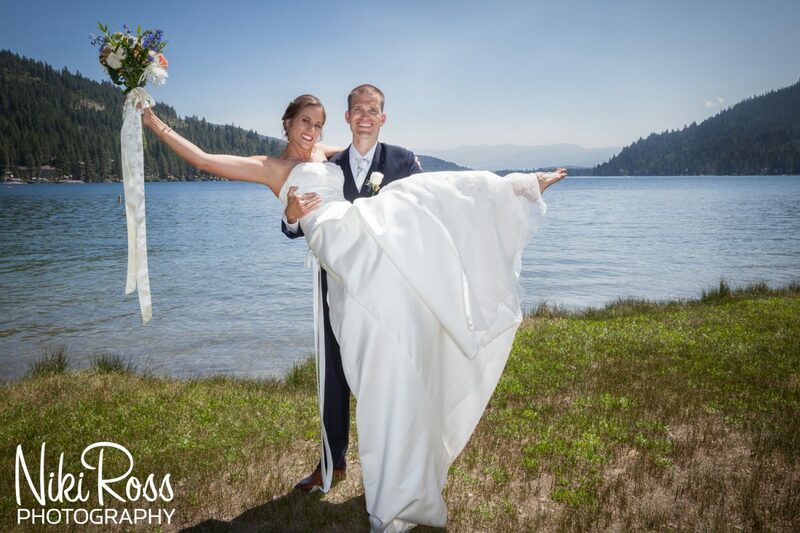 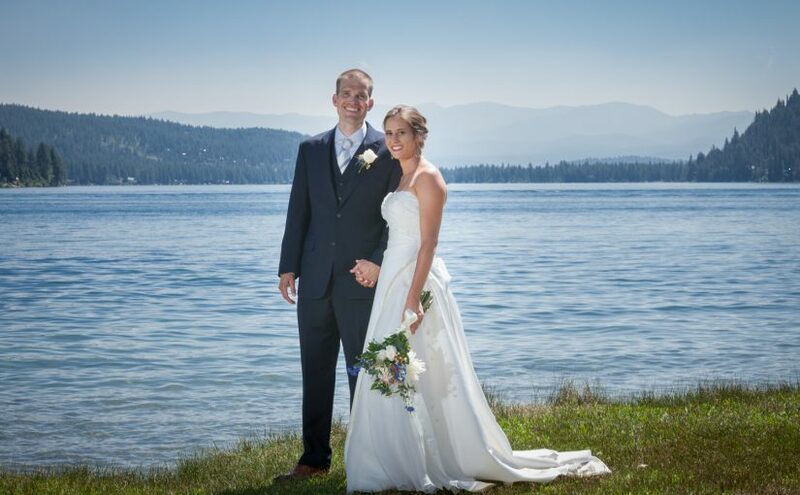 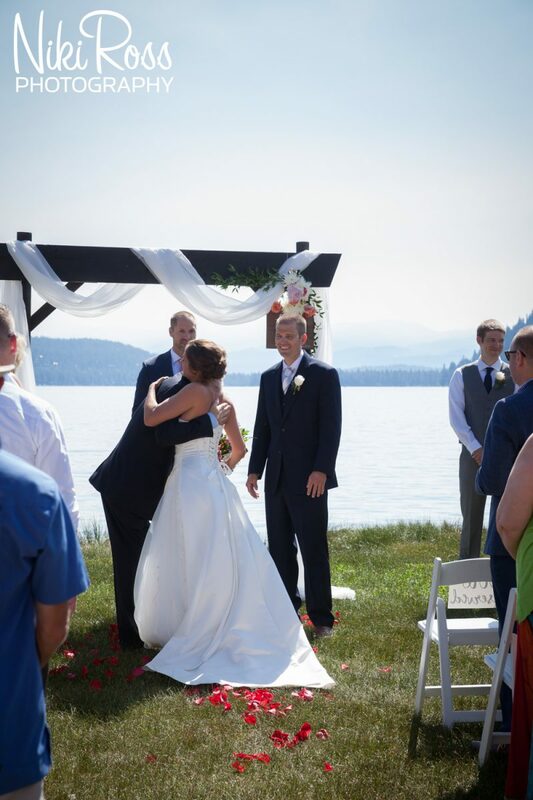 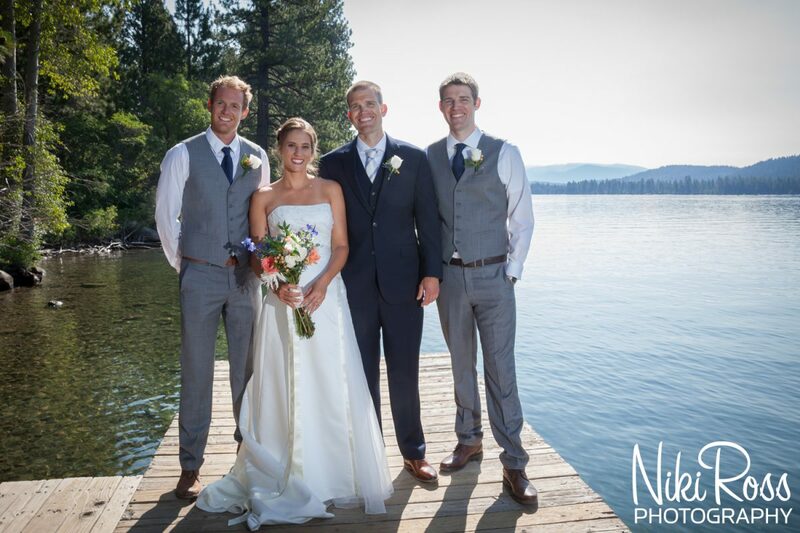 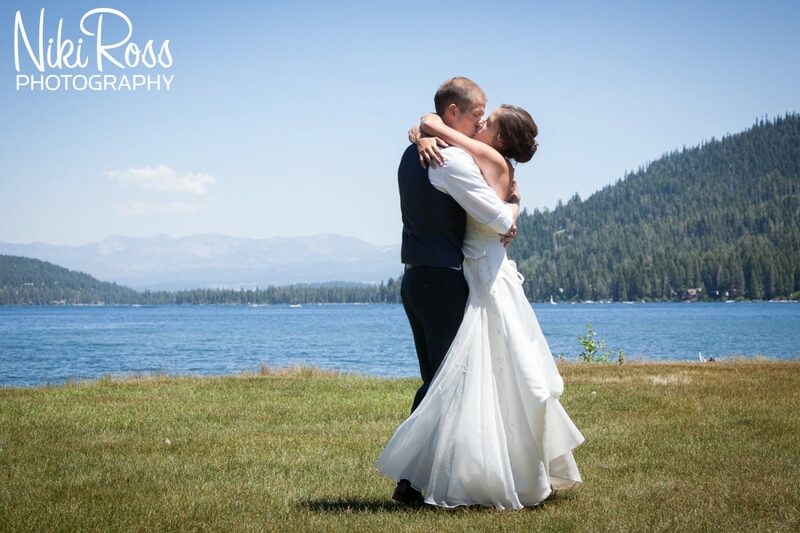 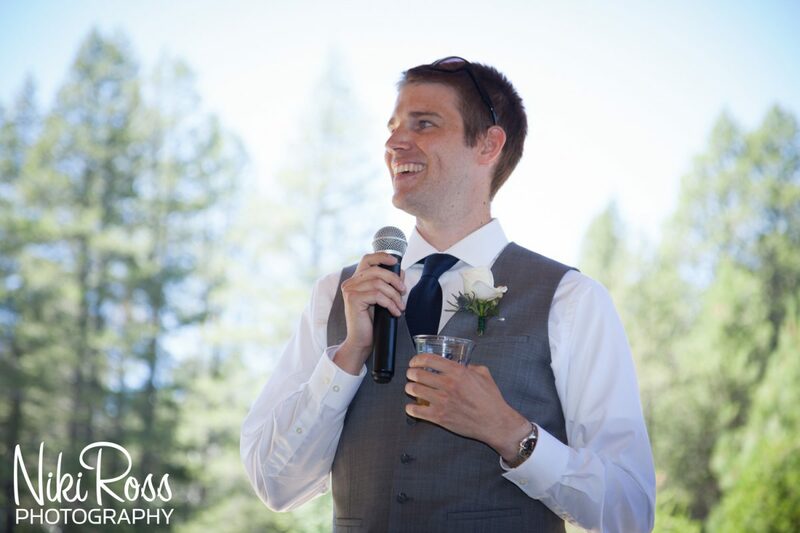 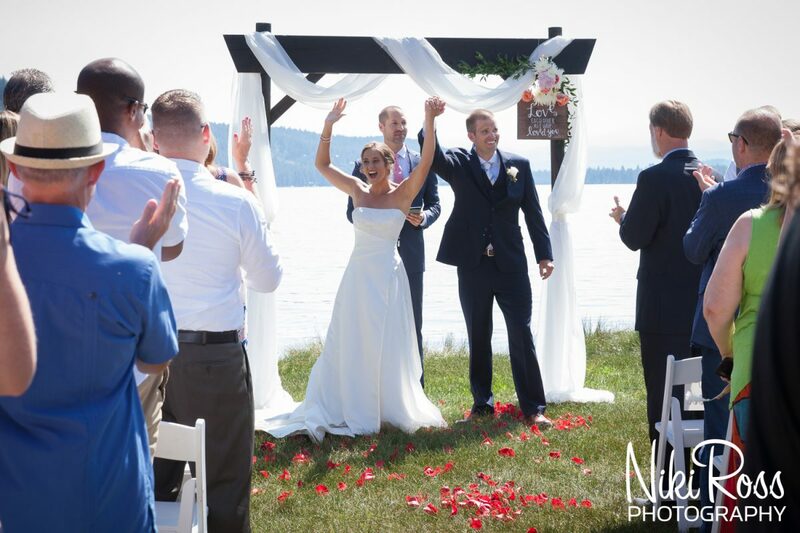 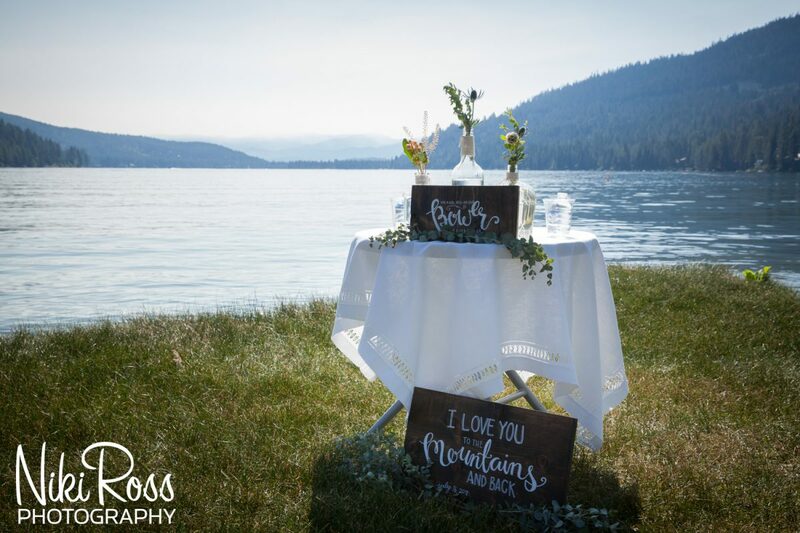 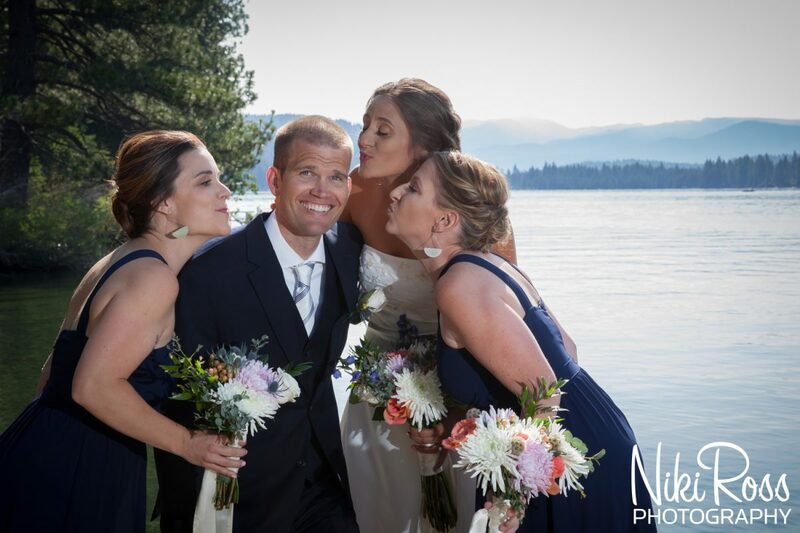 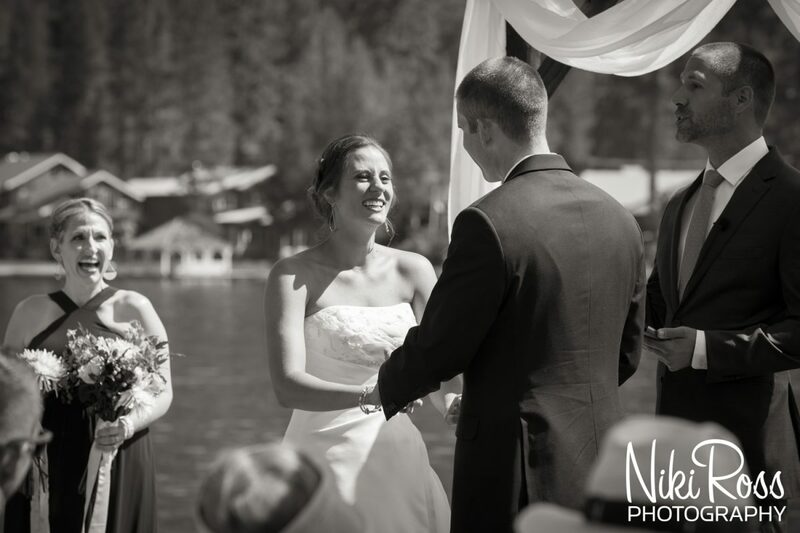 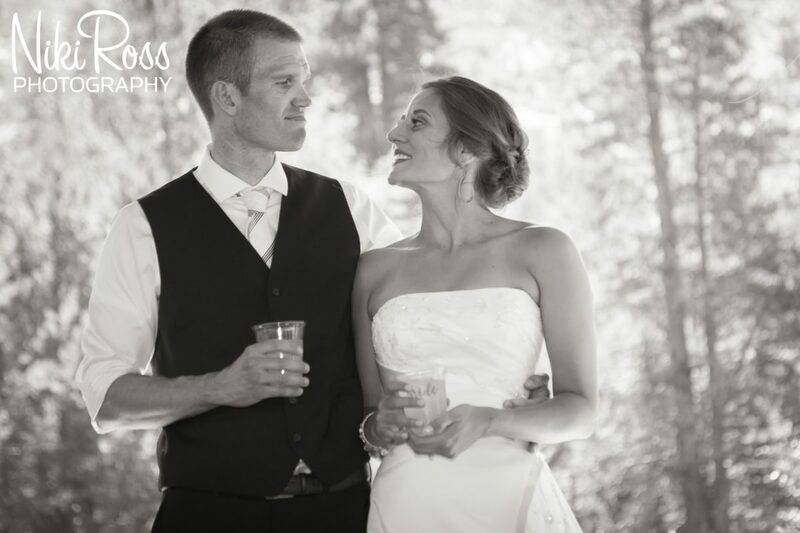 Their Donner Lake beach wedding couldn’t have been any more perfect! 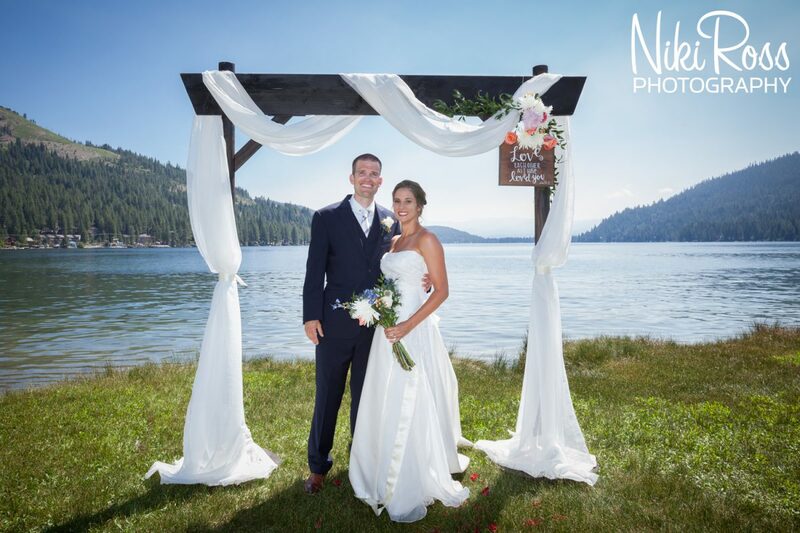 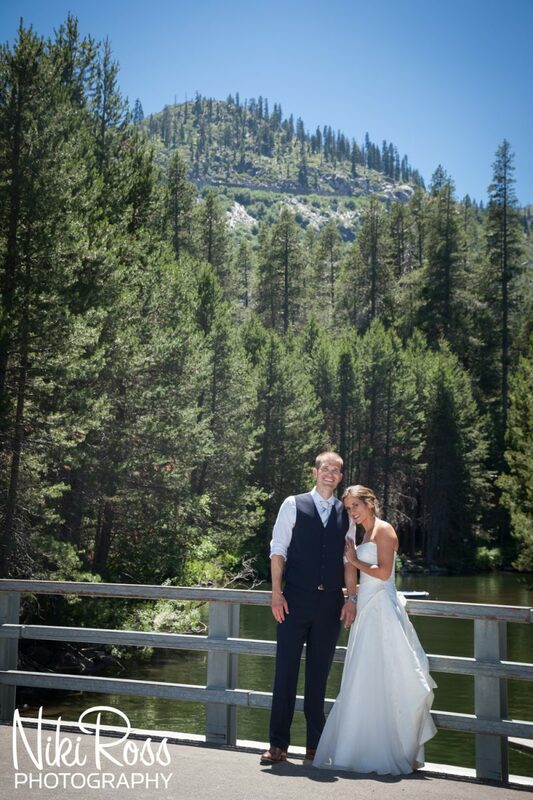 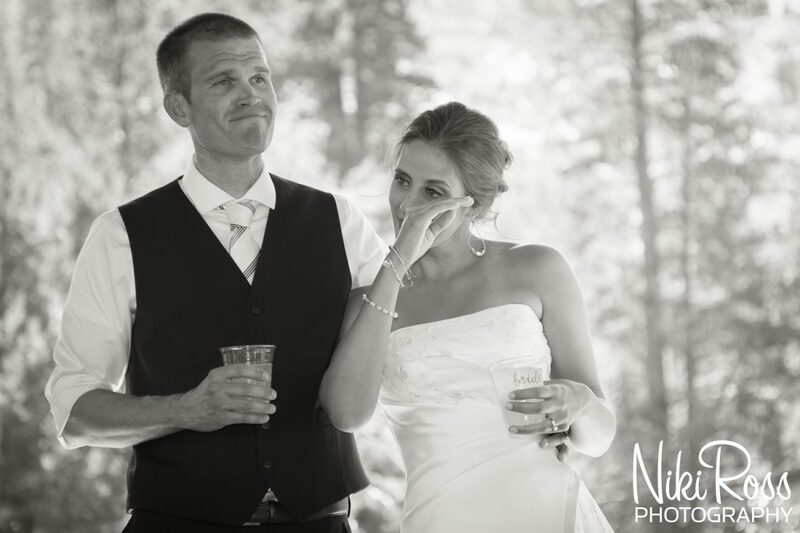 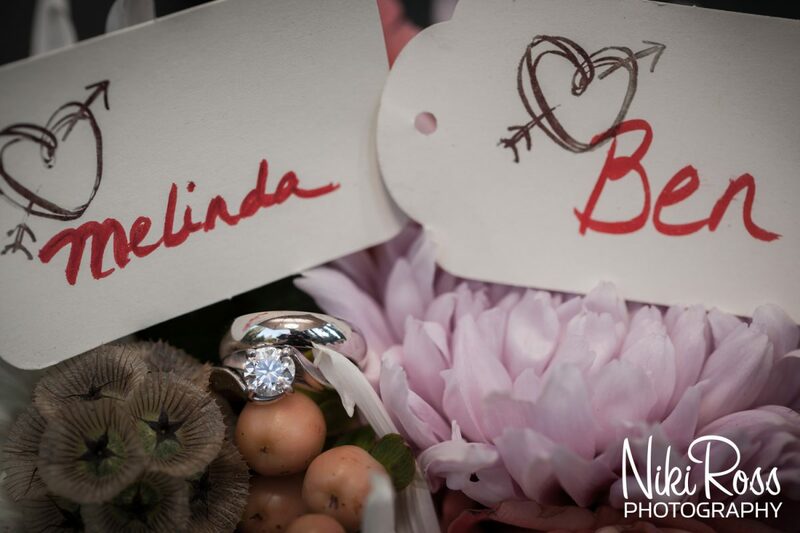 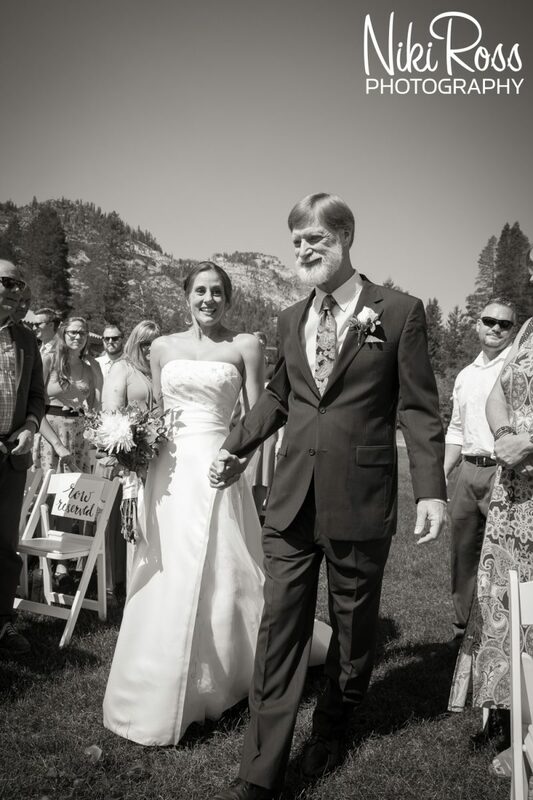 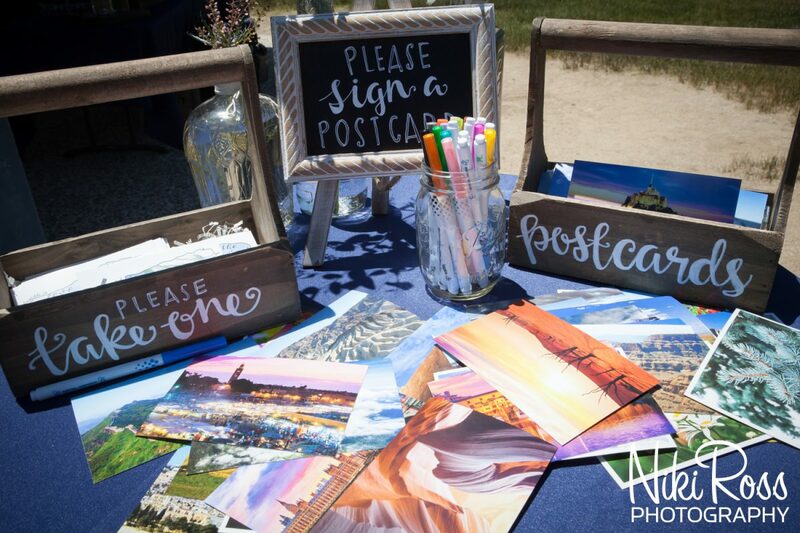 This duo wanted to have a beach wedding at their favorite location in the world, Donner Lake. 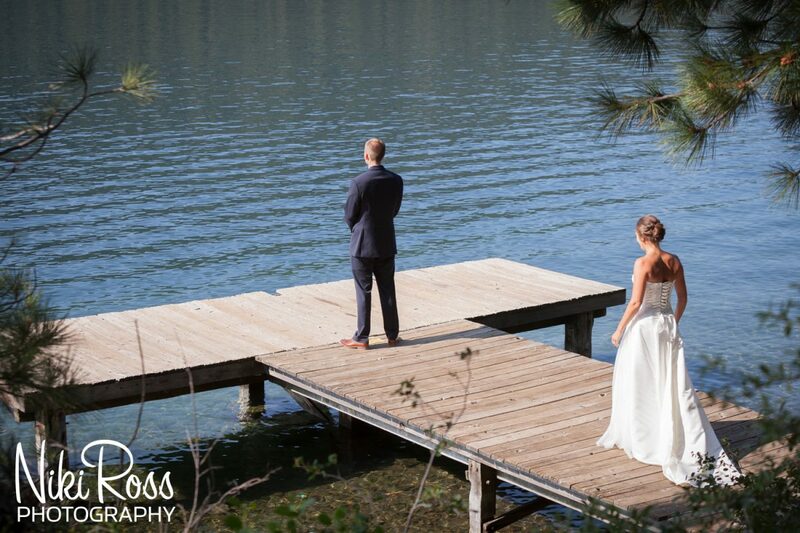 They knew they were going to have to plan a morning ceremony so that their guests could get into their swim attire by the time it was getting hot. 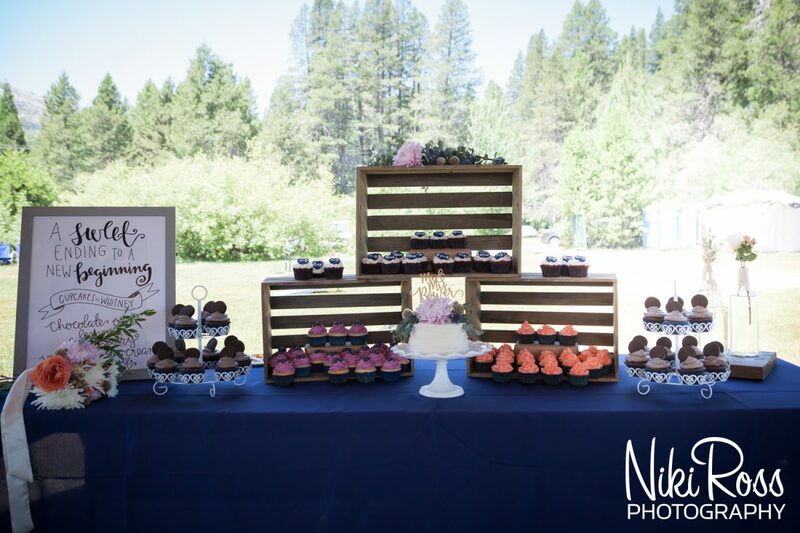 So for their reception it was a delicious lunch reception, by Roundabout Catering. 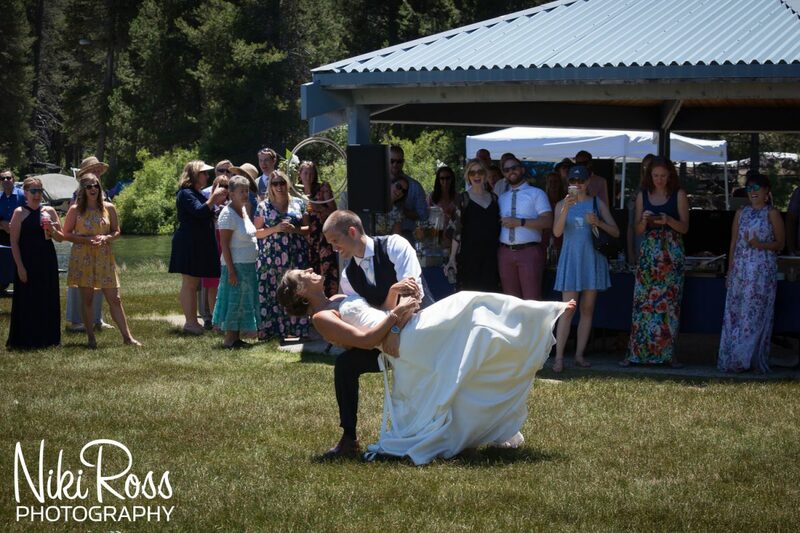 Music was provided by the always awesome DJ Klick. 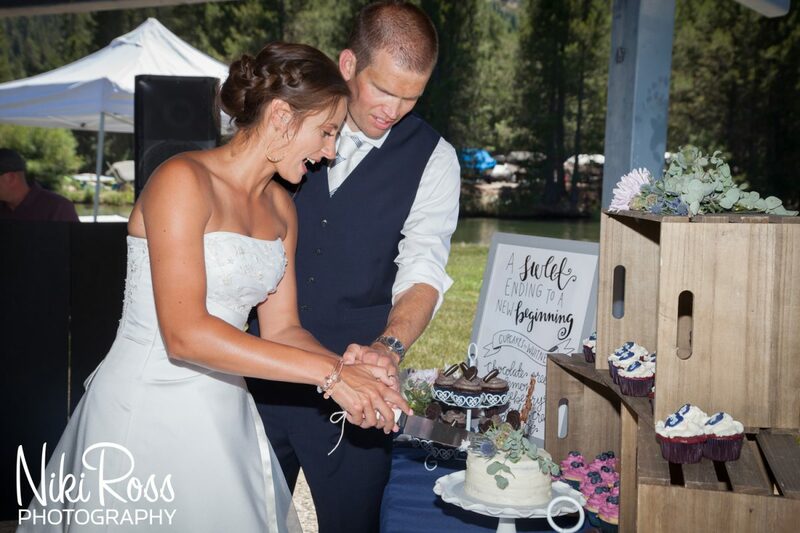 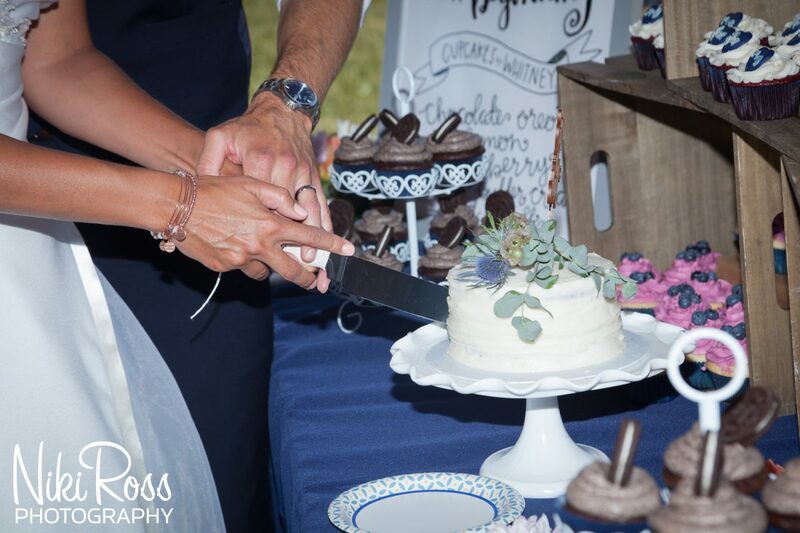 Toasts, dancing and cake cutting were all included in the fun, followed by all their guests hanging out and swimming in the lake! 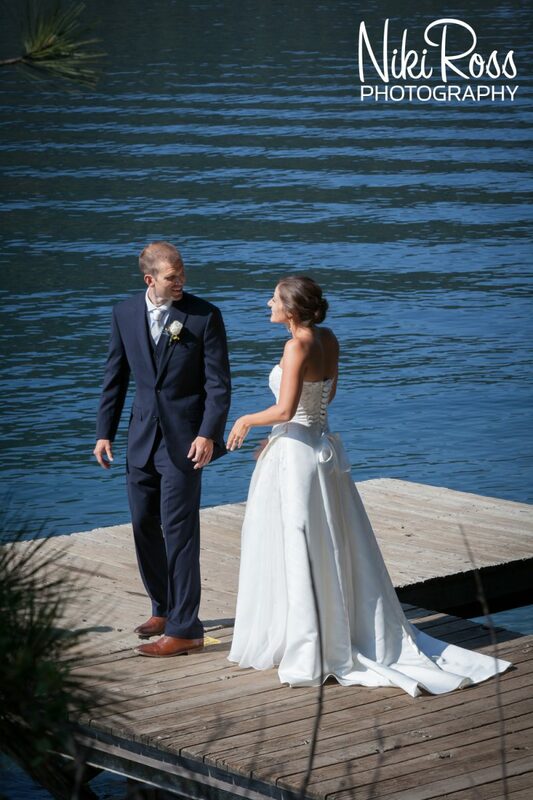 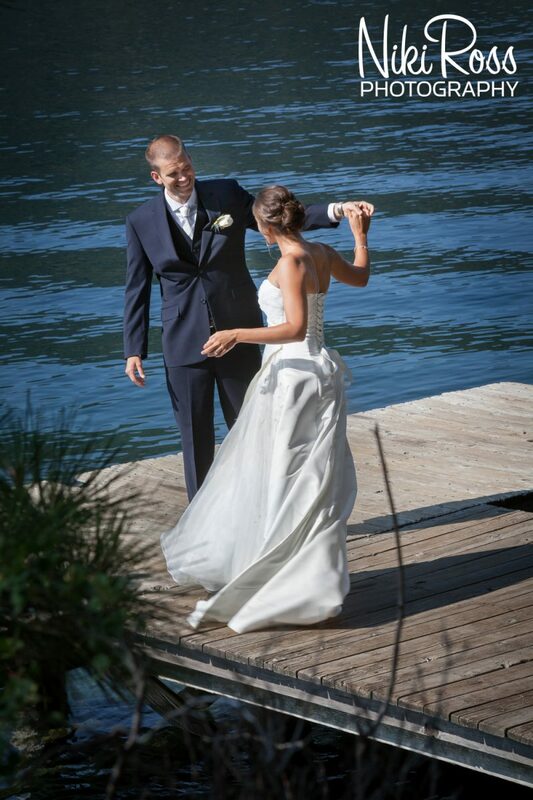 We were planning a first look for Melinda and Ben on one of the public docks along the lake. 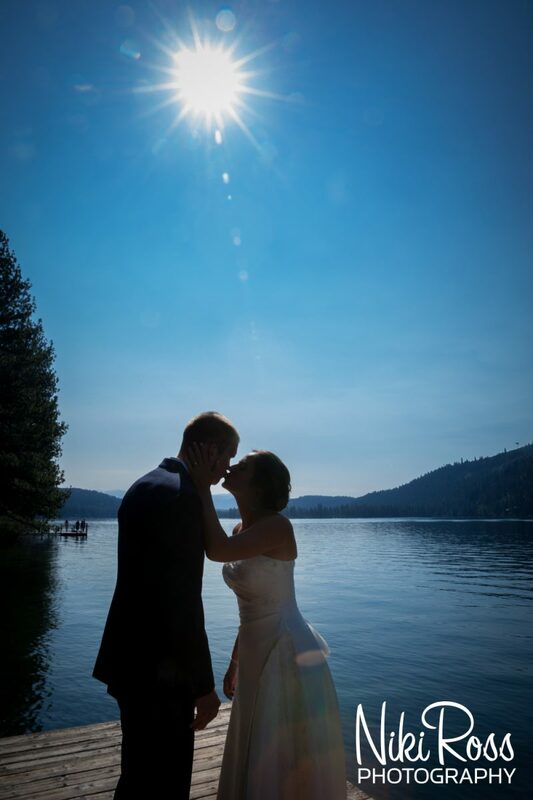 The morning went by so fast and it was quickly time for these two to get married! 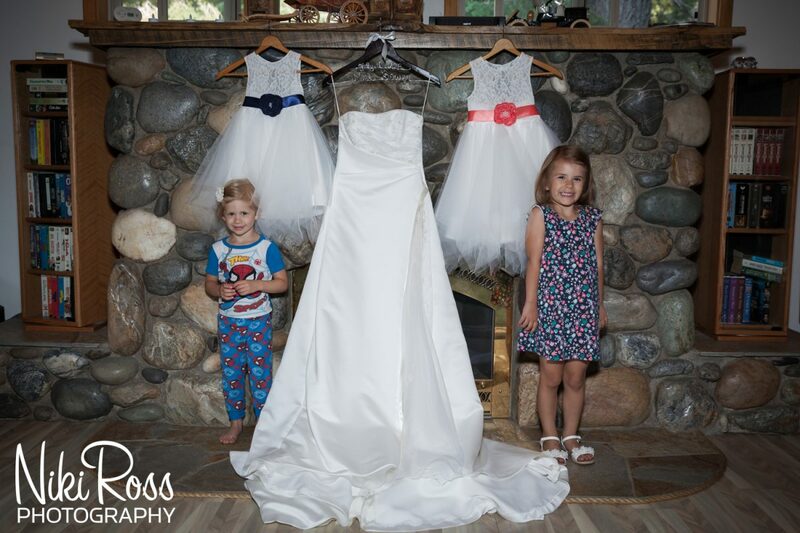 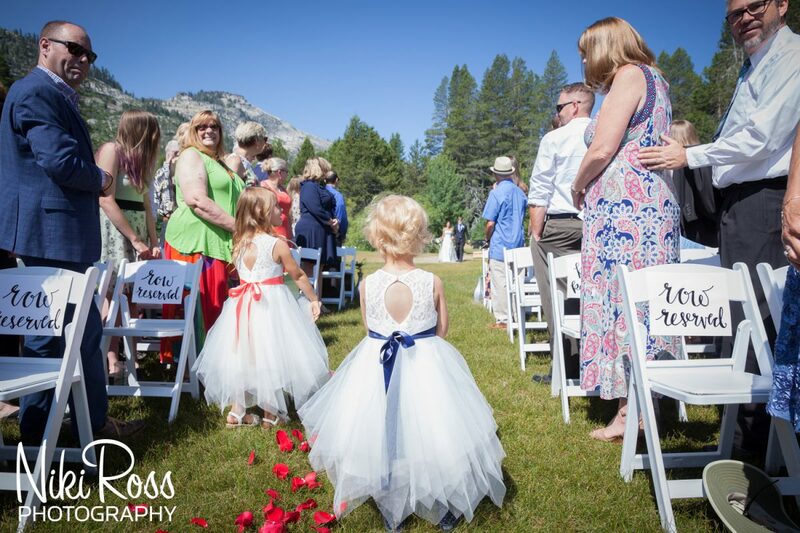 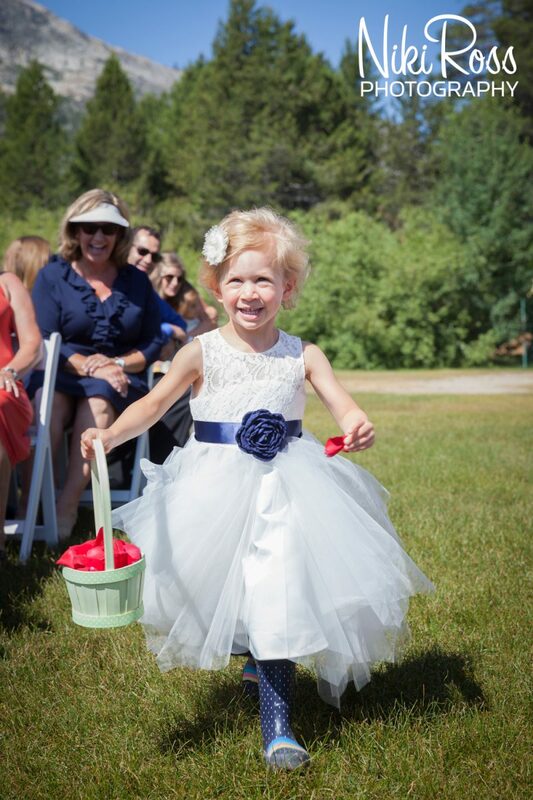 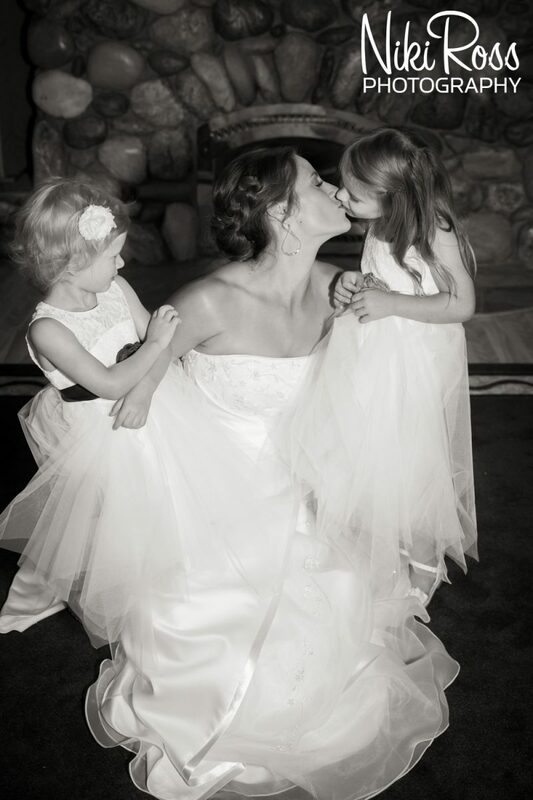 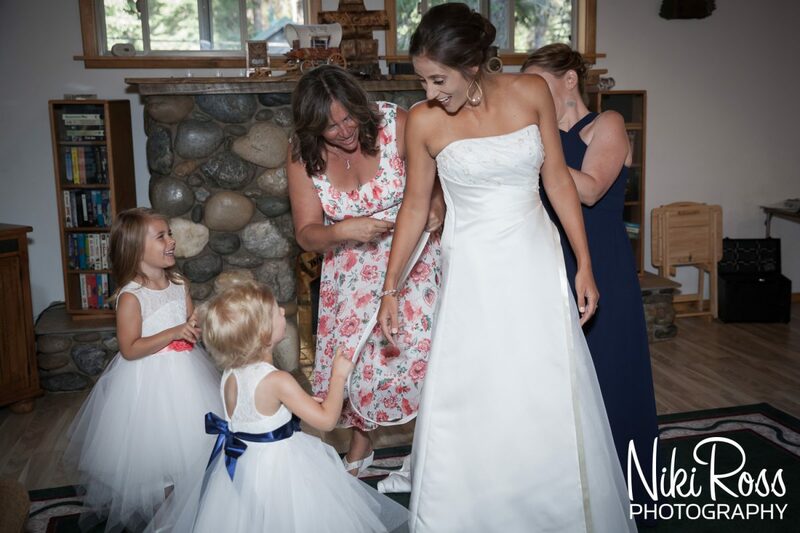 Officiated by Melinda’s Brother, two of the cutest flower girls ever who started going down the aisle the wrong way, and views of Donner Lake their ceremony was perfect! 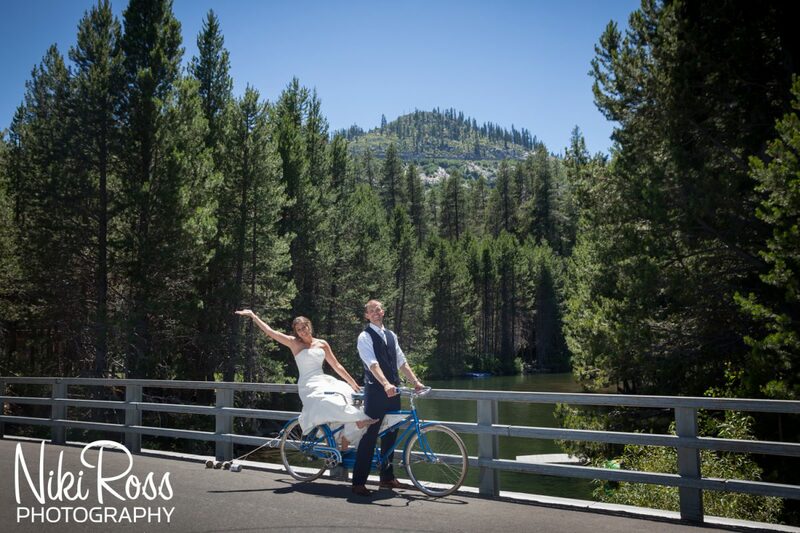 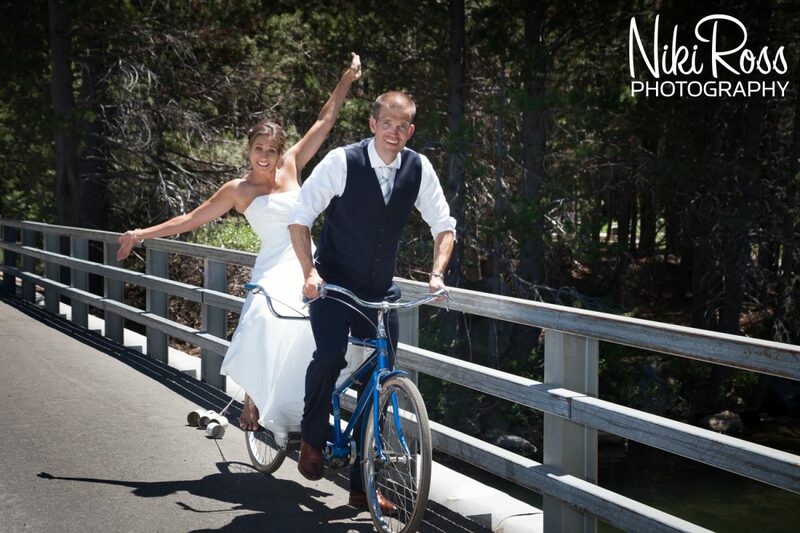 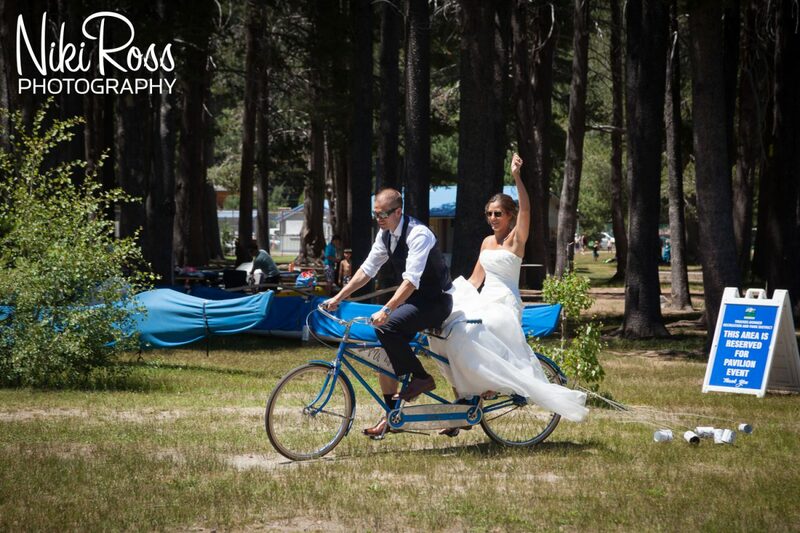 The newlyweds and their love for adventure wanted to have their classic Schwinn Tandem Bicycle, they new it was be a fun photo opp to take it for a spin thru the park before changing into their swimsuits. 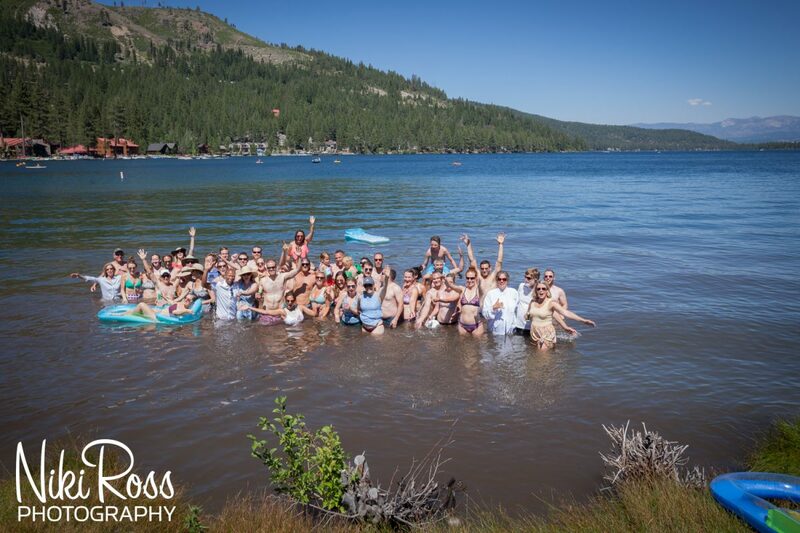 It was getting hot and every one was ready to cool off. 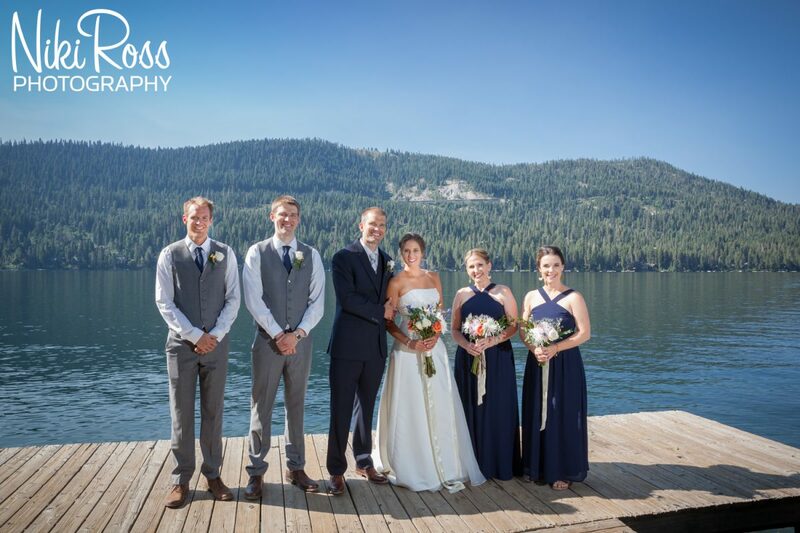 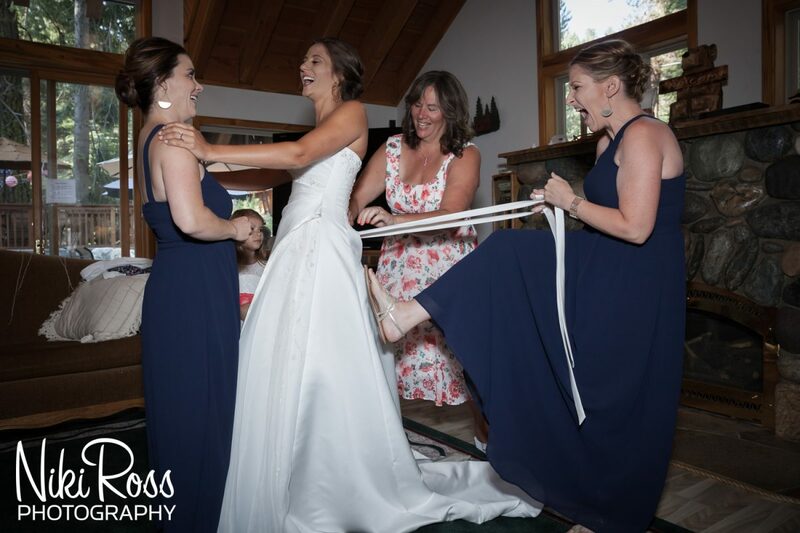 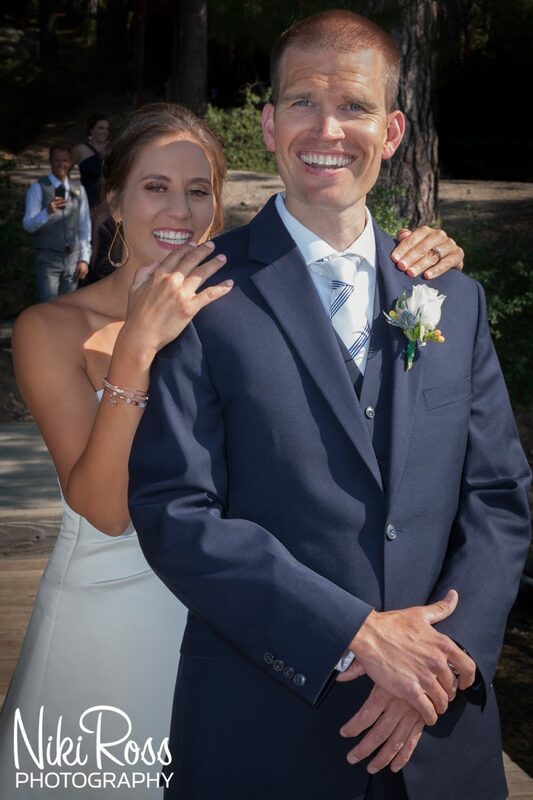 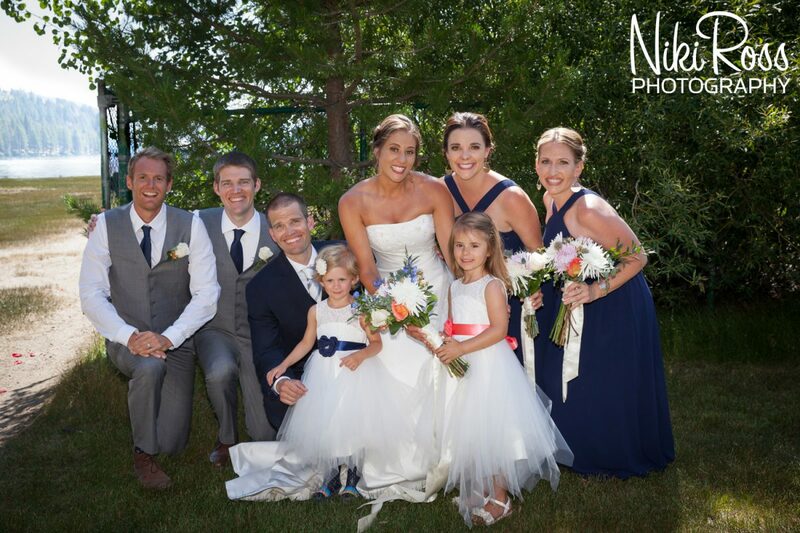 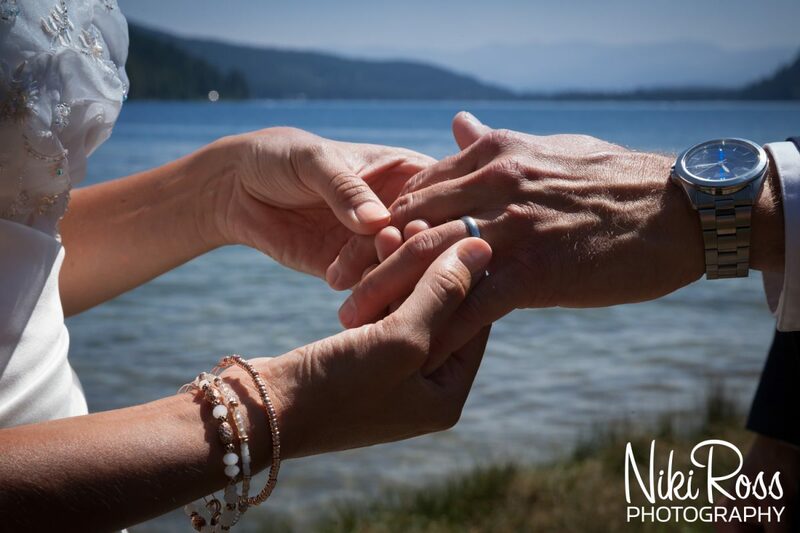 Melinda and Ben’s Donner Lake Beach Wedding was so much fun and really made for a lot fun family time all day long!